Events from the year 1979 in Canada . Prince Philip, Duke of Edinburgh, is the husband of Queen Elizabeth II. The Governor General of Canada is the federal viceregal representative of the Canadian monarch, currently Queen Elizabeth II. The person of the sovereign is shared equally both with the 15 other Commonwealth realms and the 10 provinces of Canada, but resides predominantly in her oldest and most populous realm, the United Kingdom. 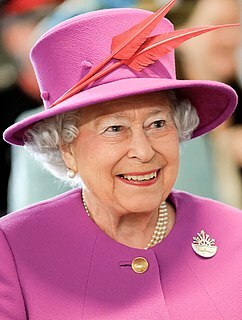 The Queen, on the advice of her Canadian prime minister, appoints a governor general to carry out most of her constitutional and ceremonial duties. The commission is for an unfixed period of time—known as serving at Her Majesty's pleasure—though five years is the normal convention. Beginning in 1959, it has also been traditional to rotate between anglophone and francophone incumbents—although many recent governors general have been bilingual. Once in office, the governor general maintains direct contact with the Queen, wherever she may be at the time. Jules Léger was a Canadian diplomat and statesman who served as Governor General of Canada, the 21st since Canadian Confederation. 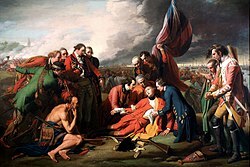 Edward Richard Schreyer is a Canadian politician, diplomat, and statesman who served as Governor General of Canada, the 22nd since Canadian Confederation. The Lieutenant Governor of Alberta is the viceregal representative in Alberta of the Canadian monarch, Queen Elizabeth II. The Lieutenant Governor of Alberta is appointed in the same manner as the other provincial viceroys in Canada and is similarly tasked with carrying out most of the monarch's constitutional and ceremonial duties. The present, and 18th, Lieutenant Governor of Alberta is Lois Mitchell, who has served in the role since 12 June 2015. Ralph Garvin Steinhauer, was the tenth Lieutenant Governor of Alberta, and the first Aboriginal person to hold that post. Francis Charles "Frank" Lynch-Staunton, was the 11th Lieutenant Governor of Alberta from 1979 to 1985. The Premier of Alberta is the first minister for the Canadian province of Alberta. He or she is the province's head of government. The current Premier of Alberta is Rachel Notley, who was sworn in on May 24, 2015. 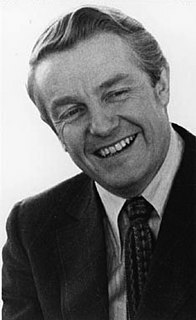 Edgar Peter Lougheed,, was a Canadian lawyer and politician. He served as the tenth Premier of Alberta from 1971 to 1985 as a Progressive Conservative. The premier of British Columbia is the first minister, head of government, and de facto chief executive for the Canadian province of British Columbia. Until the early 1970s the title prime minister of British Columbia was often used. The word premier is derived from the French word of the same spelling, meaning "first"; and ultimately from the Latin word primarius, meaning "primary". The Commissioner of Yukon is the representative of the Government of Canada in the Canadian federal territory of Yukon. The commissioner is appointed by the federal government and, in contrast to the Governor General of Canada or the Lieutenant Governors of the Canadian provinces, is not a viceroy and therefore not a direct representative of the Canadian monarch in the territory eo ipso. Frank Fingland was the interim Commissioner of Yukon in Canada from November 1, 1978 until January 19, 1979. He was preceded by Arthur MacDonald Pearson and succeeded by Ione Jean Christensen. Ione Jean Christensen,, néeCameron is a former Canadian Senator. February 24 - An explosion rips through Number 26 Colliery located in Glace Bay, Cape Breton killing 12 men. Joe Clark becomes Canada's sixteenth, and youngest ever, prime minister. Flora MacDonald becomes Canada's first female Secretary of State for External Affairs. June 7 - The Sudbury Strike of 1978 ends after nine months. Winterlude is an annual winter festival held in Ottawa, Ontario and Gatineau, Quebec. Glace Bay is a community in the eastern part of the Cape Breton Regional Municipality in Nova Scotia, Canada. It forms part of the general area referred to as Industrial Cape Breton. Cape Breton Island is an island on the Atlantic coast of North America and part of the province of Nova Scotia, Canada. December 13 - Supreme Court declares Quebec and Manitoba's provincial legislatures to be unconstitutional because of their use of only one language. December 31 - A fire at Le Club Opemiska in Chapais, Quebec, kills 48 at a New Year's Eve party. See 1979 Governor General's Awards for a complete list of winners and finalists for those awards. June 22 - The World Hockey Association folds. Four teams—the Edmonton Oilers, Winnipeg Jets, Quebec Nordiques, and Hartford Whalers—survive and move to the NHL. Events from the year 1960 in Canada. Events from the year 1963 in Canada. Events from the year 1966 in Canada. Events from the year 1970 in Canada. Events from the year 1975 in Canada. Events from the year 1976 in Canada. Events from the year 1978 in Canada. Events from the year 1980 in Canada. Events from the year 1981 in Canada. Events from the year 1982 in Canada. Events from the year 1983 in Canada. Events from the year 1986 in Canada. Events from the year 1989 in Canada. Events from the year 1968 in Canada. Events from the year 1971 in Canada. Events from the year 1930 in Canada. Events from the year 1973 in Canada. Events from the year 1969 in Canada. Events from the year 1974 in Canada. Events from the year 1972 in Canada.